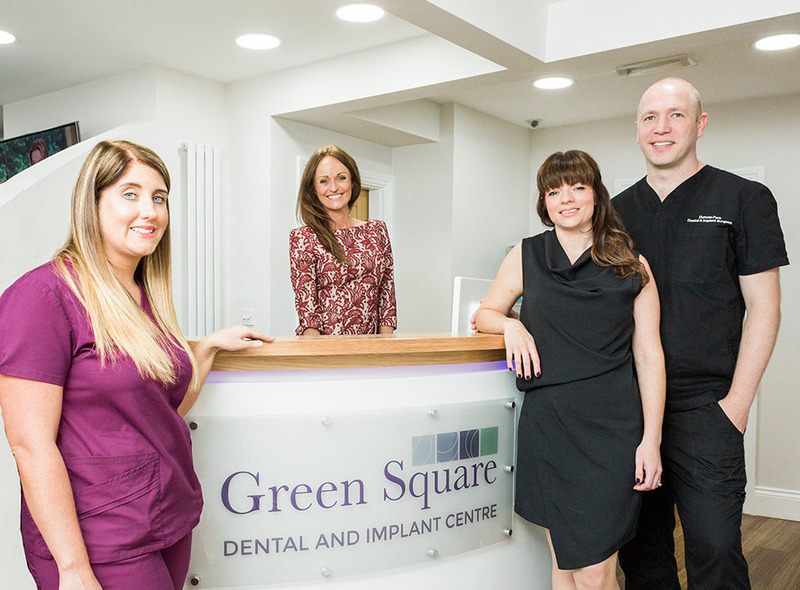 Here at Green Square Dental, we fully empathise with those patients who suffer from a fear of dentists. It is more common than you think. And that’s why our friendly team are fully equipped to help and care for you throughout your journey with us – starting from the moment you walk through our doors. We can help with these worries. Every member of our team has extensive experience of dealing with anxious patients. We understand your feelings and will do everything we can to make you feel more relaxed about coming to see us. 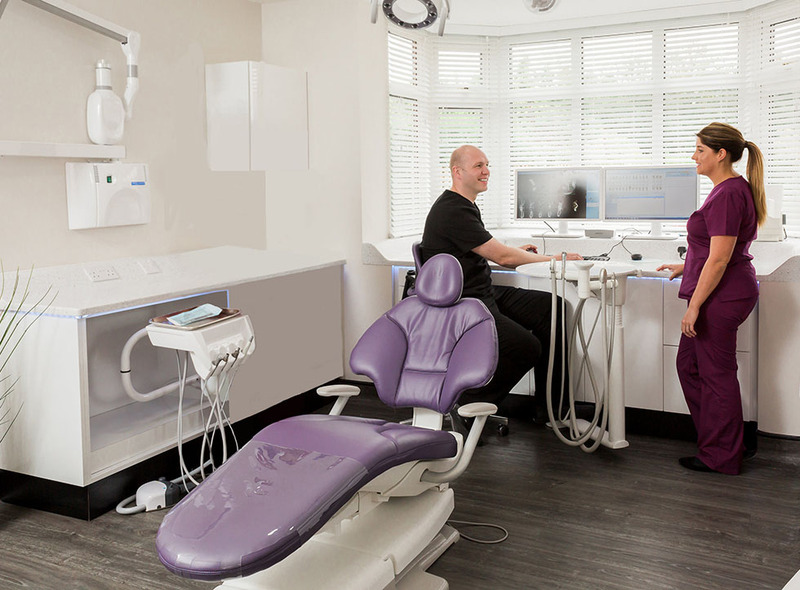 This includes having a welcoming environment and an extra friendly and reassuringly gentle team who will spend time talking you through the procedures until you feel comfortable. If you really can’t face going through treatment, consider our intravenous sedation – a wonderfully calming procedure that will make you forget your worries. This safe, relaxing sedative is delivered intravenously by a qualified practitioner, following a thorough assessment of your weight, age and medical condition. It will make you feel deeply relaxed but you will still be conscious and able to talk to us. It effectively dissolves your distress and helps you forget all about the experience – in fact, following treatment, it may feel as if you have snoozed through the whole thing. How is IV Sedation delivered? A fine needle is inserted into a vein, usually in the back of your hand, and kept safely secured throughout the procedure. The calming sedative is then delivered gradually, with a syringe attached to the needle, so you receive a controlled dose. You will be closely monitored throughout the process. Will I still need a local anaesthetic? Even though IV sedation will eliminate your fear of receiving treatment, it does not provide pain relief, so you will still need a local anaesthetic. But don’t worry, this will normally be administered while you are under sedation – you probably won’t notice a thing! What happens after I have been sedated? In order to be most effective, sedation needs to be of sufficient strength, so you will have to allow time for its effects to wear off. You won’t be able to drink alcohol, drive or operate machinery during this time, and you will need someone to take you home and stay with you to check you are getting back to normal. Any concerns should be referred back to us as soon as possible. Sedation really can make dental treatment much more bearable and allows us to give your teeth the attention they deserve. It is important to see us regularly because avoiding check-ups can be detrimental to your dental health. Also, the longer you leave it, the worse problems can get, leading to more involved and costly treatment in the future. Please don’t worry if you haven’t seen a dentist for years, we’re not here to judge, we’re here to help, and you’ll probably be surprised at how painless modern dentistry can be. 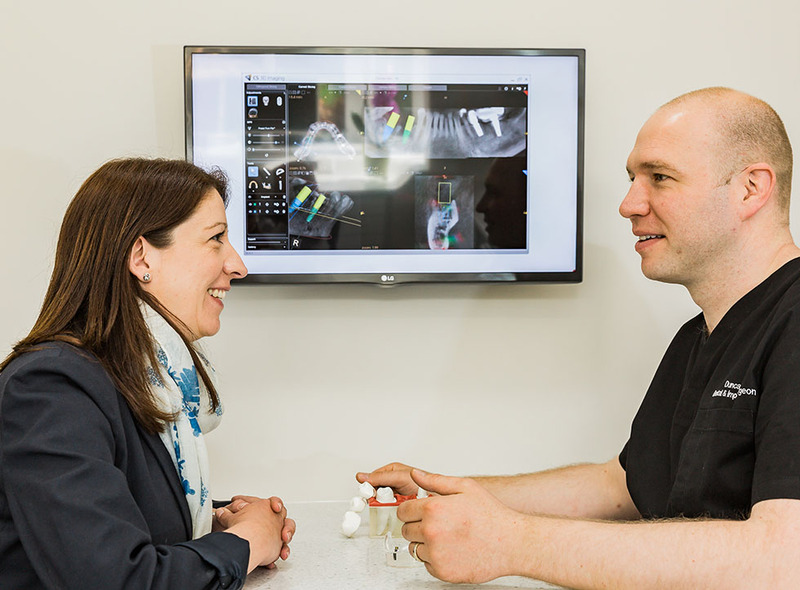 Feel free to pop in for a chat so you can familiarise yourself with our practice before you make an appointment and remember we will support you every step of the way to well cared for teeth. Come and see us and we’ll show you why there really is no need to fear the dentist anymore. 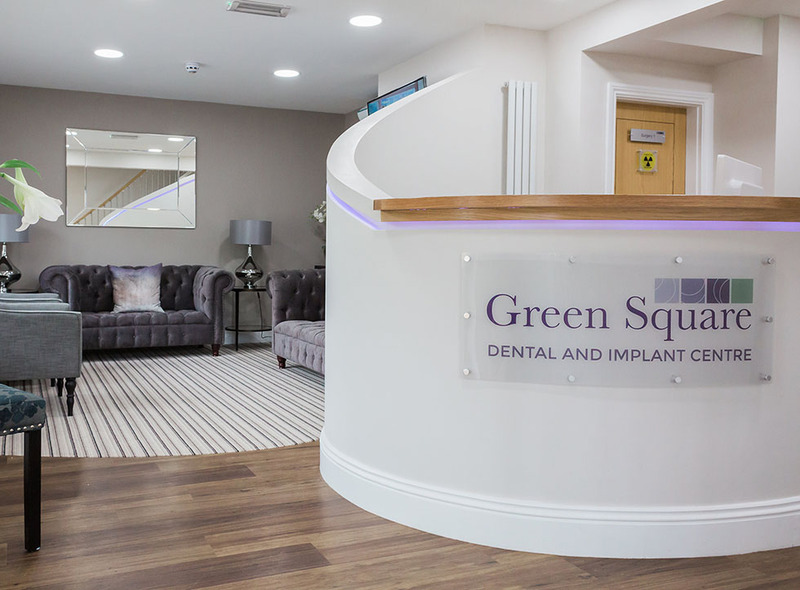 “I was recommended to visit Green Square Dental and Implant Centre by a friend who knew about my fear of dentists. In fact, it was beyond a fear. I had an extremely bad experience some 4 years ago and I never thought I would step foot into a dental surgery again. That was until I visited Green Square. I went along with total trepidation. In fact, it took me a while to get through the door! But am I glad I did. I was put at ease as soon as I walked in. The receptionist was warm and friendly and I instantly felt comfortable. This experience continued when the nurse took me through to the surgery and the dentist welcomed me with a warm and genuine smile. He chatted through my fear before he even began talking about getting me in the chair. He had an air of calmness about him that I could tell was sincere. He made me realise that one bad experience should not put you off forever. I can now say that I have no fear of going back to my dentist. I have had several treatments since my first visit. Everything was explained fully. I knew exactly what to expect at each visit, and I now attend as a regular patient.